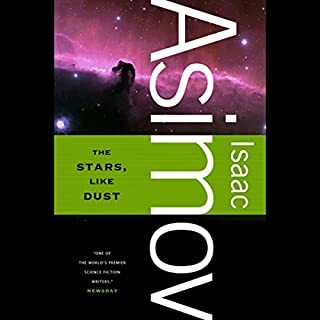 Here, from a grand master of science fiction, is the long-awaited final novel of the greatest science-fiction series ever told. 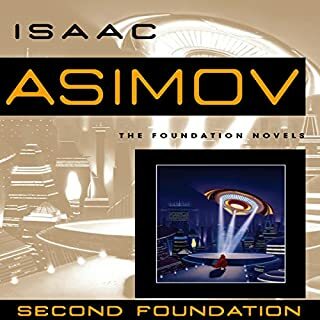 Completed just before his death, Forward the Foundation is the crowning achievement of a great writer’s life, a stirring testament to the creative genius of Isaac Asimov. Among those seeking to turn psychohistory into the greatest weapon known to man are a populist political demagogue, the weak-willed Emperor Cleon I, and a ruthless militaristic general. 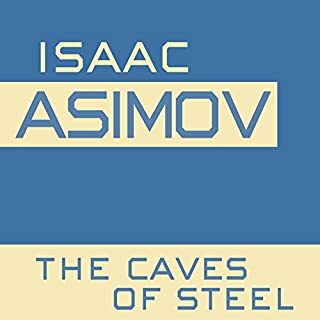 In his last act of service to humankind, Hari Seldon must somehow save his life’s work from their grasp as he searches for its true heirs - a search that begins with his own granddaughter and the dream of a new Foundation. What did you like best about Forward the Foundation? What did you like least? 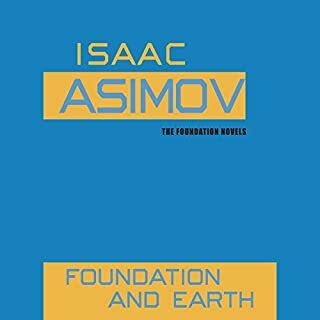 Vintage Asimov bringing to a conclusion his tying up of the origins of the Foundation series. I liked absolutely least the dreadful narration. The narrator didn't seem to actually understand the dialog that he was reading and it came across incredibly stilted and lifeless. What was one of the most memorable moments of Forward the Foundation? Another one of the cool stings that occur in many of the Foundation stories. 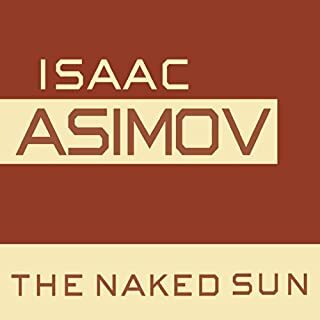 If I wasn't a die-hard Asimov fan I wouldn't have listened past the first 5 minutes. He simply read in a wooden fashion. No sense of timing or emphasis. If you could sum up Forward the Foundation in three words, what would they be? This book is a must for one who wants to follow the Foundation series in the correct order. Would you be willing to try another one of Larry McKeever’s performances? Never. He reads too slow and over pronounces his words. Too much of a gap in his reading. That's why it took 13 discs insted of 12 to record. Please have Scott Brick re-record this title. He set the precedent for the rest of the books to follow, as far as reading is concerned. For example Scott Brick puts the acent on the second syllable of the robot's name- Di - MER - sal. Larry McKeever changed the whjole thing by saying: DEM - er - sal. The pronunciations started in the first book should be carried on throughout the whole series. Not with McKeever's reading...it would take too long, and I do need to sleep sometime. Yes, have Scott Brick do the whole series. I really enjoy listening to him. I enjoyed him in Prelude to the Foundation and I'm happy to see that he has done some of the others. I liked the story, but the reading was robotic. 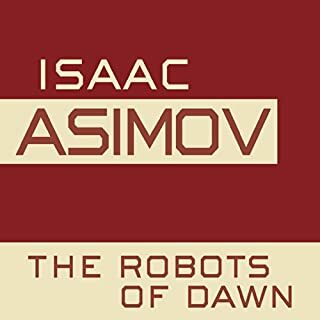 If this had been first Asimov book I listened to, I would have given up. 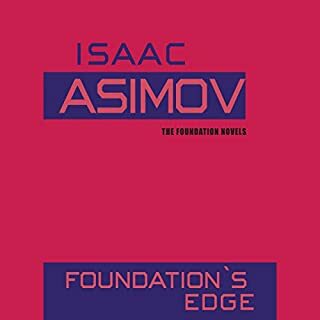 Since I had enjoyed Prelude to Foundation and Foundation (with different reader) I stayed with it. But I will not buy another book with this reader. 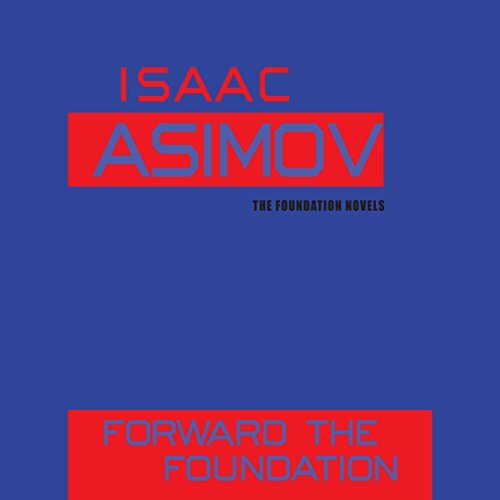 Would you consider the audio edition of Forward the Foundation to be better than the print version? No, the audio edition is not not better than the print version. 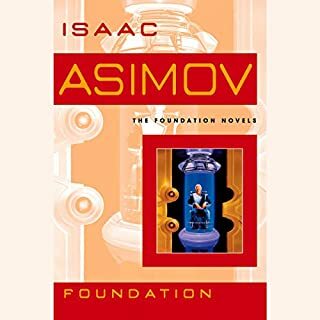 I first began reading this series in school year 7 (1981) when I was told Asimov was going to continue the Foundation stories. They became, and still are, one of my favorite series of novels. 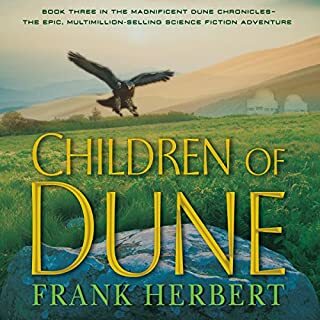 I recently decided that I'd like to listen to the series all the way through, in chronological series order, courtesy of the wonders of Audible. 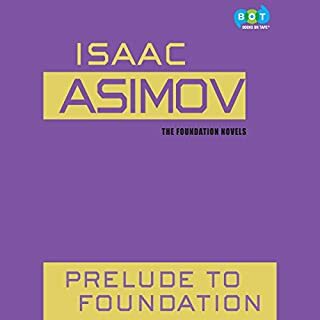 I thoroughly enjoyed Prelude to Foundation, as read by Scott Brick, and looked forward to the next. This story is still as entertaining as it was when it came out. Unfortunately, Mr. McKeever's narration is absolutely horrible. It's like listening to something being narrated by Stephen Hawking. His narration is extremely mechanical; when I first began listening I really thought it was a synthesizer and not human. There are frequent pauses between sentences that are very distracting, as they would definitely not be present in a normal conversation. His monotone style also adds to the difficulty, sometimes making it impossible to know immediately that a new character is speaking. Looking at the books read by Mr. McKeever, I see that many are children's books. Perhaps his distinct speaking cadence and crisp pronunciation of each word is something that would be very beneficial to a young child. However, for adult fiction, his reading is distracting from the story. He was very prolific, and no doubt very talented, but this read was not his best (I hope). I'm very glad this was not my first listen to an Audible book. If it had been, I'm sure I would never have chosen a second. 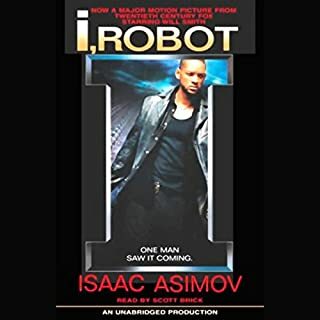 I have been happy with the voice talent used in every Audible book I've listened to up until now and I don't really understand how this one "slipped through." As it stands, I'm not sure I will continue forward with purchasing the rest of the books in this series as I see Mr. McKeever also reads Foundation and Earth. Perhaps I will listen to the others and return to print for F&E. Unfortunately, that defeats my purpose for audio books, as I listen to them while I workout. Would you be willing to try another one of Larry McKeever?? ?s performances? No, not unless I hear a sample that convinces me he was just having a bad day when he narrated this novel. If you're considering this as your first Audible purchase: DON'T DO IT! There are many, wonderfully read books available. 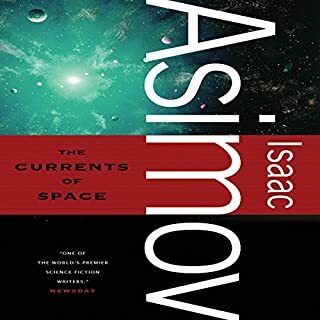 Don't let this book ruin your opinion of Audible.com. 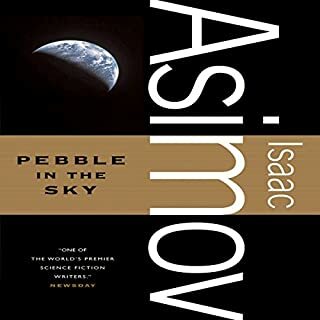 Please, Audible, work with the publisher and re-record this novel and Foundation and Earth. Don't leave them as they are, just because the narrator has passed away. Mr. McKeever's performance hurts this series for those who have never heard it before or read any of the books. 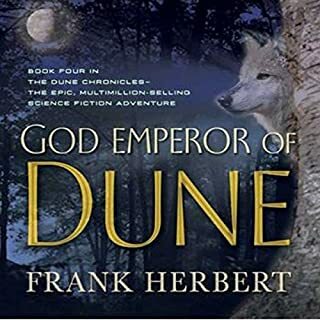 Not only does his monotone narration make listening to this story almost unbearable, McKeever's pronunciation of some of the main character's names was so bad that at first I thought some new characters were being introduced. 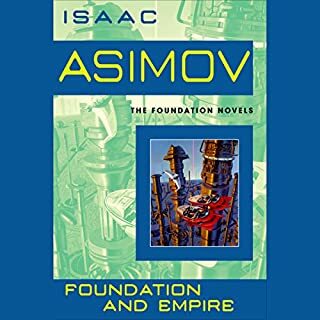 This is one of Asimov's Foundation Novels...written after the original three Foundation Novels. The story itself is good...filling in pieces between Prelude to Foundation and the original Foundation Novels. 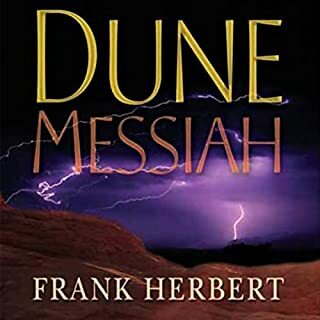 The narration, on the other hand is awful...one of the worst I've heard during my eight years on Audible...If I were the narrater I'd be ashamed of this performance. It's terrible. Lack of feeling...monotonal...choppy...feh! The story is very good, and I would recommend it. The reading by McKeever is distracting making it difficult to pay attention to the story. Overly enunciated, odd pausing and somewhat monotoned speech make it sound like it was read by a computer. Based on another review, I decided to listen to this book with my audio speed at 1.5. It was way better than the normal rate from narrator. I enjoyed this final Foundation story (I did them all in published order). I think I will do the robot series next! I rated the story at one star only because it has to be rated to write this review. I actually have no idea if the story is good or not since the narration was so bad I never heard the story. I will re-rate after reading it in print. 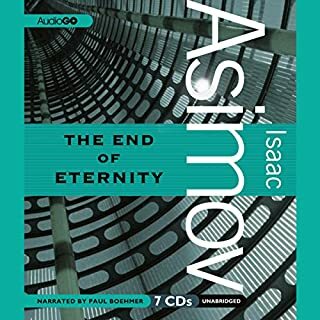 Would you ever listen to anything by Isaac Asimov again? 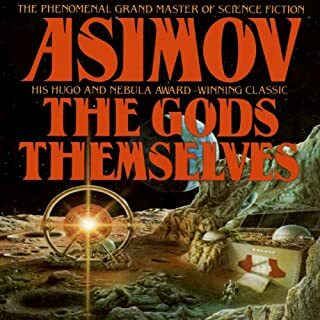 Absolutely, Asimov is awesome, it's the narrator that ruined this one for me. Scott Brick did such a fantastic narration of most of the Foundation series, why didn't he do all of them? Those narrated by McKeever are so bad that it is as if static is playing in the background. Even after listening to the first two hours 3 different times I have no idea what happened in the story. I finally gave up. I guess this is the book I need to get for my new tablet reader so I can actually enjoy the story. Disappointment. Before giving up I wasted a good 6 hours and have no idea what happened in the book. Was this narrated by R. Daneel Olivaw? The book is fine, but the narration is terrible. I wasn't able to make it through the entire book. It sounds like a robot is reading it. Was Forward the Foundation worth the listening time?